What Sena is right for you? What makes the Sena Bluetooth intercom range special? With the advent of Bluetooth technology many of these traditional challenges are now thankfully a thing of the past. Originally intended to be a wireless replacement for cables on phones, headsets, keyboards and mice, Bluetooth technology now goes way beyond that. So, if there is one thing to consider when purchasing a Bluetooth motorcycle intercom it would be the quality of the Bluetooth module and the supporting software. The two are very much interdependent. A affordable compact wireless motorcycle intercom ideal for rider & pillion or scooter commuting. Click to read more. Packed with worlds firsts including Bluetooth 4.0 technology,dual Bluetooth communication modules, Audio Multitasking™ & enhanced bike to bike range. Click to read more on the top of the range intercom system. The worlds thinnest helmet bike intercom for riders who value form. Specifically designed for bikers with half helmets. Ideal for Harley Davison & other cruisers. The Sena 10U is a custom motorcycle Bluetooth intercom communication system designed to fit the following helmets: Shoei GT-Air, Shoei Neotec , Arai full face & Schuberth C3/C3 Pro. Designed for Sena Bluetooth Motorcycle intercoms 20S, 10U and the 10C Sena bike action camera & intercom combination. It allows users to operate their Sena Bluetooth headset directly from the handlebar. A unique wireless all in one camera and intercom system that records video and voice as well as being a bike to bike and passenger motorcycle intercom. The worlds first dedicated micro video camera designed specifically for bikers with comprehensive standard mounting options. The worlds first Bluetooth wireless external audio pack for the GoPro Hero 3 camera series. Riders can now effortlessly add vocals to their video while on the move. I started loving the Sena kit the moment I unboxed it. I was wondering on how much time would it take to assemble the device and accessories, proceed to the fixture on my helmet, then pair it with my phone and so on. But it was a sweet surprise for me when the seemingly complicated procedure hardly took five minutes of my time. I have had SMH-10 dual set for about two weeks. Install was easy. Direction for Bluetooth connection was clear and simple. The highs are clear sound between second set (passenger) and long battery life (used for 7hrs total over 2 days and battery life still read between 30-50%).Haven’t found any lows yet but have not tested in wet weather and have not tested the range between the two sets. I would definitely recommend and if I needed another set or a replacement set, I would definitely buy again. A great product. Easy to install, use and operate. I use it with my GPS and to talk to my passenger. I gave 4 out of 5 for durability because I have only has it for a few months and do not know long term, but it has been used a lot and in different weather (incl rain) and it remains flawless. Sena is a leading global supplier in what is known as M2M ( machine-to-machine) communications. Their products include external /embedded wireless and industrial device servers; industrial Bluetooth product lines, blue tooth access points for device networking solution in the areas of IT/Telco, retail/POS, industrial automation, building automation, and medical automation. In layman’s terms, Sena specializes in high-tech Bluetooth electronics. These components in turn are sold to manufacturers who embed and integrate Sena equipment in various types of manufacturing systems. Odds are, you’ve used a Sena product without even knowing it. This expertise has now been built into arguably the finest range of self contained helmet motorcycle interphones currently available. 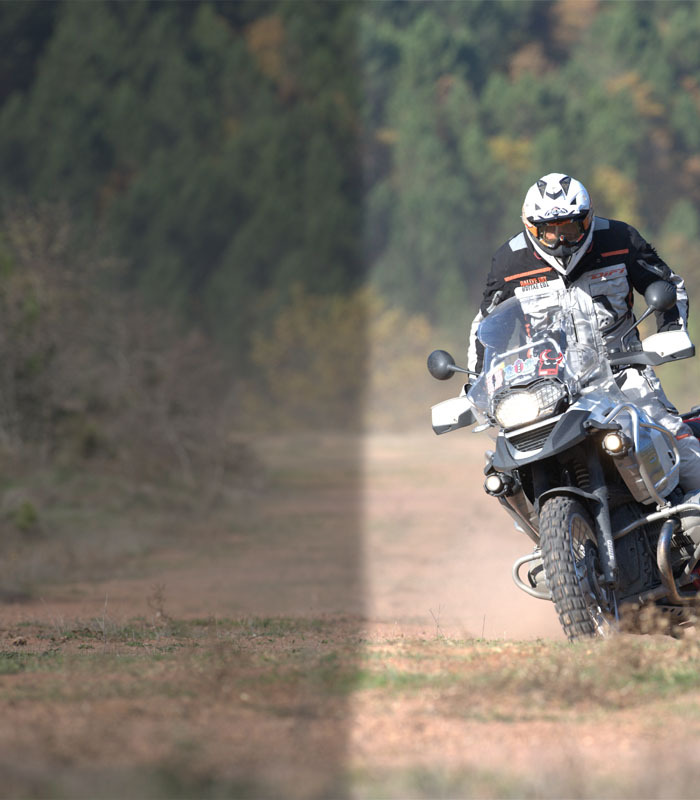 Designed by real world bikers for bikers- in actual fact the Sena range of motorbike communicators is as a result of one of Sena’s senior executives frustration with the current market offerings. His instructions to his engineers -design from the ground up a motorcycle intercom system that has a sensible user interface and that actually works. operation ensures the simplest, safest & intuitive user interface of any unit currently on the market. Only one button! All Sena products are firmware upgradeable allowing for the most up-to-date functionality and options for your Bluetooth device. 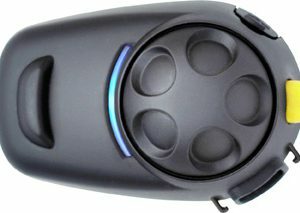 Provides the ability to connect with and communicate with non-Sena luetooth headsets using the Universal Intercom function. This is an industry first and continues Sena’s industry trail blazing path. New wind noise suppression and intelligent “Noise Gate” limits the interference of wind noise and background noise while riding. If this feature is enabled, you can hear your voice in the speakers as you talk during an intercom conversation or a phone call. This can be a very handy monitoring tool for riders who talk too loud/softly or who want to hear the outgoing audio. allows for a seamless blend of incoming and outgoing audio to create a mixed audio experience versus the traditional interruption based audio technology of other Bluetooth devices.